A vintage style locket with lots of charm. 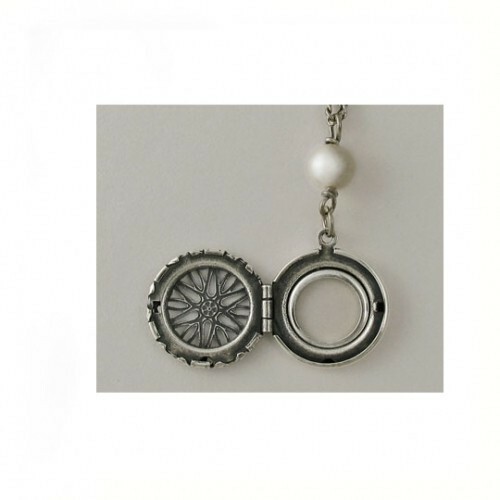 This 3/4 in silver plated locket hangs on a long 30 in chain. There is a glass pearl accent. Handmade in the USA. 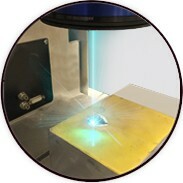 The locket can hold one or two images. It can also hold solid perfume or a saturated perfume wick, as was done in the Victorian era. A great alternative to using a fragrance. 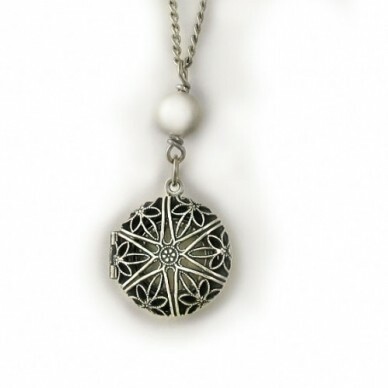 A vintage style locket with lots of charm. This 3/4 in silver plated locket hangs on a long 30 in chain. There is a glass pearl accent. Handmade in the USA.